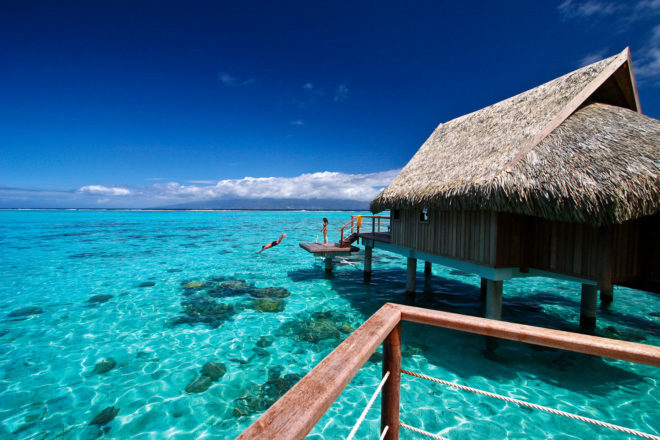 Sofitel Moorea Ia Ora Beach Resort, French Polynesia. Ranked #100 in our countdown of the 100 Best Hotels and Resorts in the World. Polynesian thatched-roof bures hover over the glittering turquoise lagoon. Rustic outside but polished within. Toast the tropical sunset with French wine, then feast on seafood barefoot in the sand at the candlelit K restaurant. Relais & Chateaux gives its stamp of approval. Did you know In Polynesian culture, tattoos have long be considered a sign of beauty.